Indiana State University honored its top seniors for their outstanding dedication and leadership on campus and in the community. 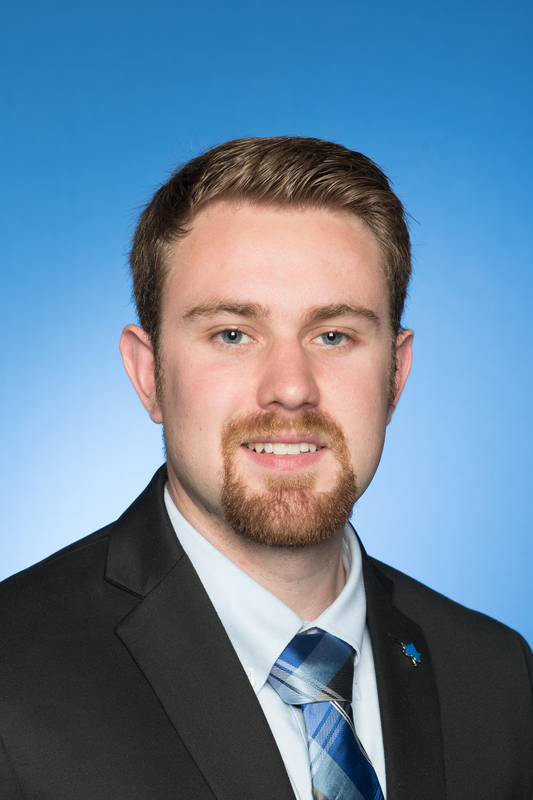 Dylan Stolz, '18, biology major and civic leadership minor from Terre Haute, was awarded the Daniel L. Bradley Medal for Leadership, Scholarship and Service at Indiana State. Recently renamed to honor the 11th president of the university, the award is the highest student honor at State and is presented to someone who represents all three aspects of the award. Upon graduation, Stolz plans to continue his education and become a doctor. "I begin medical school at Indiana University School of Medicine in Bloomington in the fall with an interest in pediatrics and cardiology," Stolz said. Stolz was also one of two recipients of the Alan C. Rankin Distinguished Senior Award, which recognizes seniors who have made a significant impact on the campus and community and demonstrated leadership abilities by serving as a positive role model to fellow students. The award is named for the university's seventh president who served from 1965 to 1975. Michelle White was the other student who received the Rankin Award. 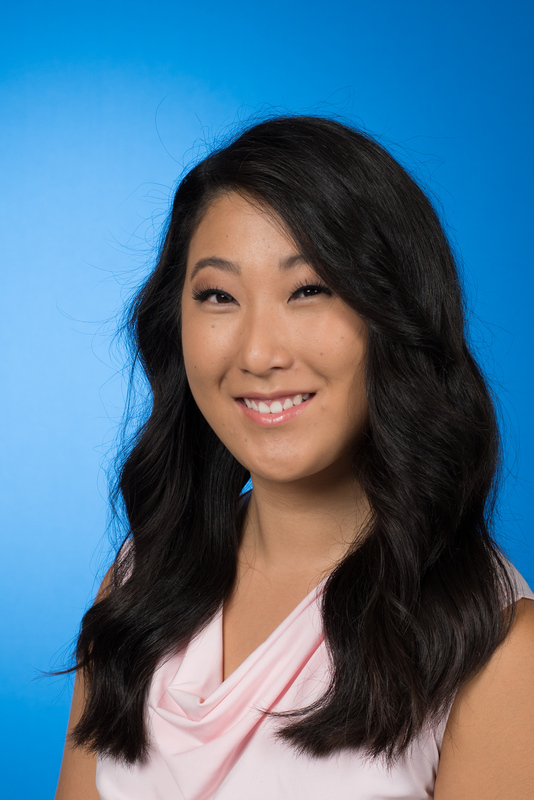 White, '18, is an operations and supply chain management major with a minor in marketing from Swansea, Ill. After graduation, she will be relocating to Indianapolis to begin her professional career in the purchasing department of Rolls-Royce. "There are so many resources and ways to get involved at State. Not utilizing those resources and organizations is a disservice to yourself," White said. The Hines Memorial Medal goes to students with the highest cumulative grade point average during their pursuit of a bachelor's degree. It is named after Linnaeus Hines, who was the university's fourth president, 1921-1933, and served two terms as Indiana superintendent of public instruction. • Leah Elizabeth Carter, a biology major civic leadership and dance minor from Louisville, Ill. She hopes one day to work to improve the quality of care in rural, skilled nursing facilities. • Haley Hall, a chemistry major from Cambridge City, Ind., who will start medical school at Indiana University in the fall. • Brittany Vancil, an elementary education major with a minor in middle school mathematics and language studies from Terre Haute. Vancil is looking forward to starting her first professional teaching job this fall. • Melanie Hocker, a dietetics major from North Ridgeville, Ohio, who will be working as a clinical dietitian in Cleveland. "Indiana State University is a hidden goldmine of opportunities for students," Stolz said. "When you step on campus for the first time you immediately feel like you are part of the Sycamore family and you are surrounded by faculty, staff and fellow students that truly want to best for you. It is not a competitive environment, but rather a supportive environment that brings out the best in students." 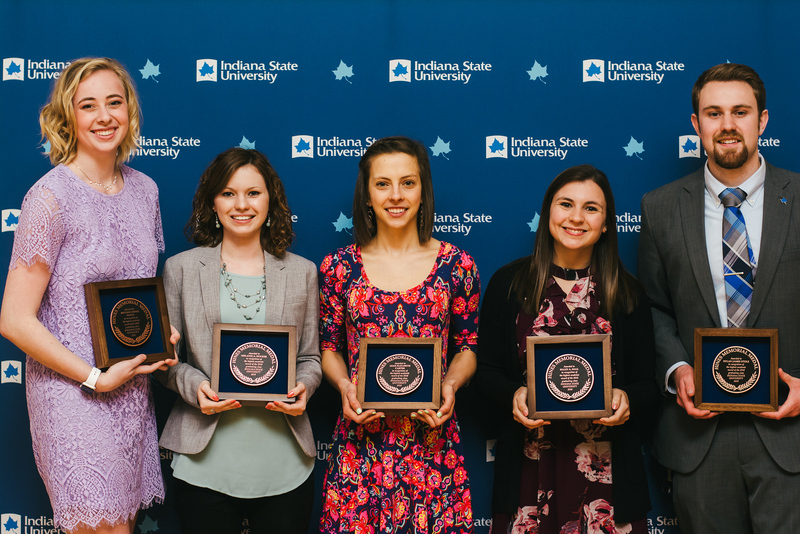 https://photos.indstate.edu/Events/Events-by-Year/2018/Alumni-Association-Awards/i-XwbmhTG/A - Recipients of the Hines Medal, from left, Brittany Vancil, Melanie Hocker, Leah Elizabeth Carter, Haley Hall and Dylan Stolz. Dylan Stolz was awarded the Daniel L. Bradley Medal for Leadership, Scholarship and Service, the Alan C. Rankin Award and the Hines Memorial Medal.